John Glasses Gold and Pink By: Elope for the 2015 Costume season. 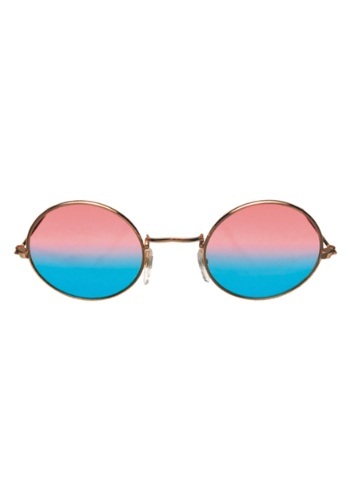 See the world through rose colored glasses! These round frame glasses are ideal to pair with any retro styled costume. You can easily assemble your own iconic musician costume with these cool shades.